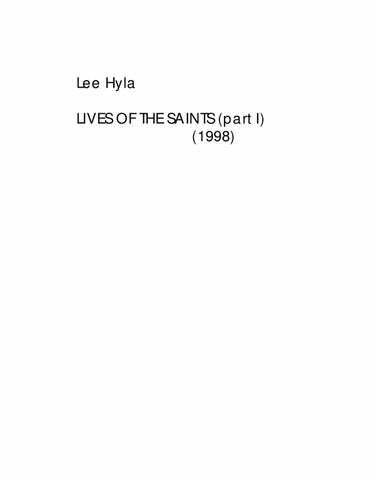 Lee (Leon Joseph) Hyla was an award-winning American composer from Niagara Falls, New York. He was born there August 31, 1952, and grew up in Greencastle, Indiana. After graduating from the New England Conservatory of Music (B. Mus., 1975), he studied at SUNY – Stony Brook (M.A, 1978), and then lived in New York City for over ten years. In 1992 he returned to Boston to teach at the New England Conservatory, where he eventually became co-chairman of the composition department. In September, 2007 he assumed the Harry N. and Ruth F. Wyatt Chair of Music Composition at Northwestern University. He passed away at the age of 61 on June 6, 2014 in Chicago. 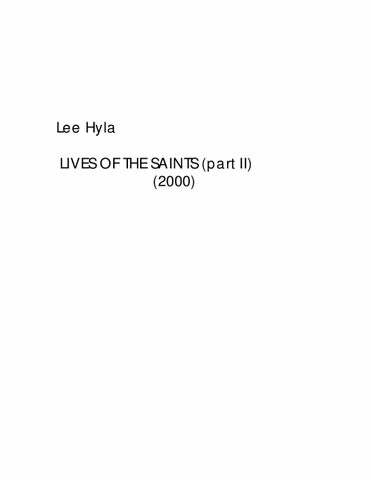 Lee Hyla wrote for numerous well-known performers including Tim Smith, Tim Berne, Rhonda Rider, Stephen Drury, Mia Chung, Judith Gordon, Laura Frautschi, Midori, Vadim Repin and Mary Nessinger, as well as celebrated ensembles such as the Orpheus Chamber Orchestra, Kronos Quartet (with Allen Ginsberg), Speculum Musicae, Lydian String Quartet, Boston Musica Viva, Firebird Ensemble, St. Paul Chamber Orchestra and the Boston Modern Orchestra Project. He received commissions from the Koussevitsky, Fromm, Barlow and Naumburg Foundations, Mary Flagler Charitable Trust, Concert Artist’s Guild, and was the recipient of two Meet the Composer/Reader’s Consortium Commissions. He was also the recipient of the Stoeger Prize from the Chamber Music Society of Lincoln Center, a Guggenheim Fellowship, two National Endowment for the Arts fellowships, the Goddard Lieberson Award from the American Academy of Arts and Letters, and the Rome Prize. His music is available on the Nonesuch, New World, Avant, CRI, Tzadik and BMOP Sound labels. 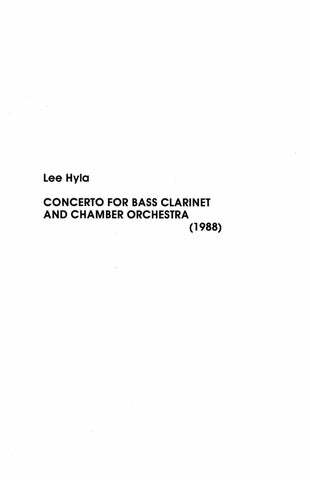 The music of Lee Hyla sought to find a common ground between the tradition of postwar American Expressionism represented by composers such as Stephan Wolpe and Elliott Carter and the gritty urban style of avant-garde Jazz musicians like Cecil Taylor. Hyla also integrated aspects of the rougher styles of Rock, especially Punk, into the unique mix of his music. Despite its high energy and raw surface, the music is fully notated, with nothing improvised, nor is there anything haphazard about Hyla’s sense of pitch, or dramatic structure, both of which are meticulous in a way that allows raucousness to achieve elegance. Among Hyla’s works, the 1984 Pre-Pulse Suspended for chamber orchestra marks the first thorough integration of all the elements of his musical technique. In this pivotal work, the motivic treatment of short-breathed riffs has a Beethovenian intensity and variety of phrase structure. The rhythmic force of this surface allows Hyla to juxtapose musics in contrasting tempos and affect, in an original and personal extension of methods derived from Carter. At the same time, a powerful sense of drama extends over each movement through the adroit manipulation of pedal points, which are presented either as non-transposing chords or as extended repeated notes. Hyla continued to develop these techniques in the Concerto for Piano and Chamber Orchestra No. 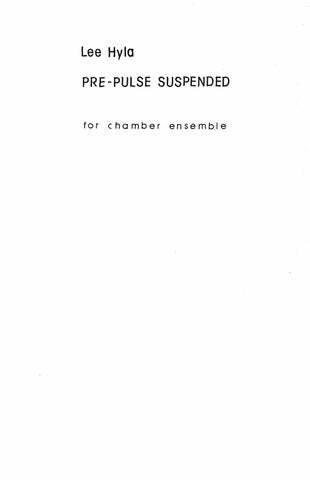 2 (1991), the stunning and justly celebrated Howl, written for the Kronos Quartet and Allen Ginsberg’s recitation of his famous poem, and most ambitiously in the 1996 Trans, for chamber orchestra. 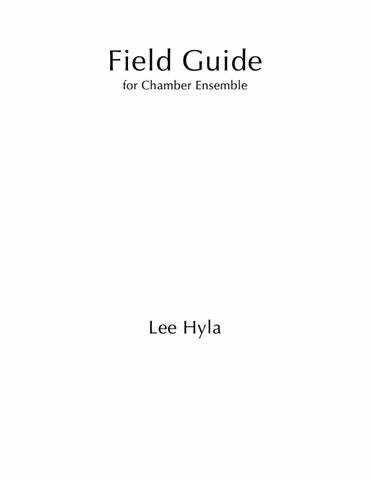 Hyla’s chamber music also exemplifies his unique and engaging approach to composition, which was both complex and immediately compelling, substantial yet visceral, almost elemental in character – always rich in content and eminently direct in expression. He was known to be an inspirational pedagogue as well as an incisive and expressive composer, and is sorely missed by students, colleagues, and friends alike. 7:00 fl., ob., cl., bsn. ; hn. ; vln. (2), vla., vcl. 13:00 1(dbl. A.Fl.) 0 2(B.Cl.) 1 – 1 0 1 0; Pno. 2Vln, Vla. Vcl. Cb. 22:00 Mezzo-soprano; fl. (alto fl., bass fl. ), cl.(bass. cl. ); perc., pno., vln., vla., vcl. 11:30 3(Picc.) 3 3(Cl.2 dbl. Eb Cl. / Cl.3 dbl.B.Cl.) 3(Cbsn.) – 4 3 3 1; Timp. 3Perc. Pno. Hp. Str. 10:00 Solo bass clarinet; fl., cl., bsn. ; hn., trp; Hp. Str. 19:00 Solo piano; fl.(a. fl. ), cl., b.cl., bsn.(cbn. ); hn., tbn. ; perc., hammered dulcimer; vln. (2), vla., vcl., cb. 21:00 Solo Vln. ; 2(dbl. Picc) 2(dbl.E.H.) 2(dbl.B.Cl.) 2(dbl.Cbsn.) – 2 2 1 0; 2Perc. Pno. Hp. Str. The music starts aggressively, alternating single notes and spread-out, dissonant chords. Hyla worked with tonality and dissonance, and crafted complex, through-composed music made firmer and weightier by allowing plenty of internal space and silence. …a concentrated avalanche of spiky, angry leaps over the full range of the instrument. The first movement’s sinuous shimmer led to a brawny marimba-cello call-and-response in the second; the third movement’s opening bongo-and-pizzicato cool collapsed into dissonant, funky angles. …always changing and backing away from glimmers of beauty. The reference in the title to a dead language is a wry take on the quandry of contemporary music, a challenge Hyla takes on with explicit, if oblique sourcing of jazz from bebop forward … Just as Wagner withheld tonic resolutions until the listener can barely tolerate the suspense, Hyla’s “rhythmic resolutions” pack a fierce wallop.